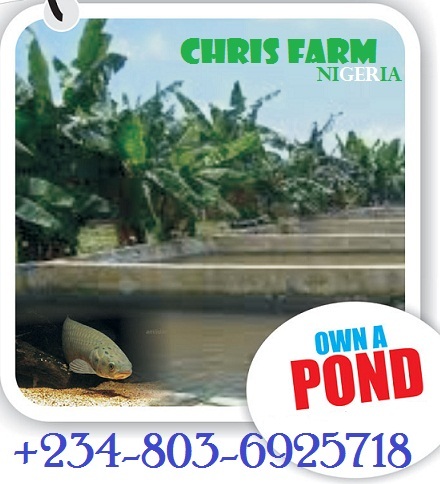 Fish Farming Made Easy is a simple strategy for you to make cool money. Fish is a major source of protein which is also rich in omega3 fatty acid. its a major source of protein and also low in cholesterol. Fish farming involves the cultivation of fish in an enclosure or tanks for harvesting as food or commercial purposes. Fish can be culture in farms, indoors or at your balcony. 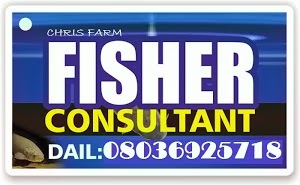 Making million in six months via fish farming is very possible. Culturing fish is quit expensive. Financing institute are not helping matters with their high interest rate. Several investors should choose fish farming more, since its profit margin is encouraging. Lets break the nut for any business for you now. 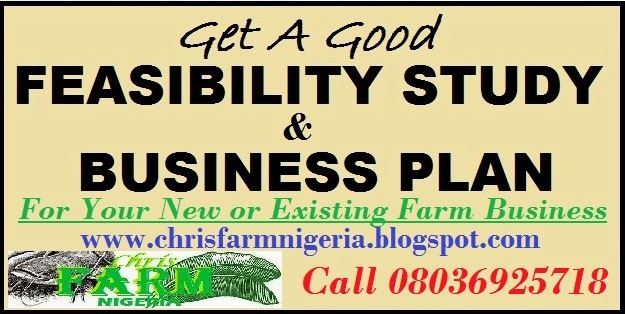 Engage us lets give you a wining business plans and feasibility on Study on any business today. Land space: Professional says that Any location is good for fish farming. Emphasizes has always been on the availability of water in that location. For water is life for fish. Fish farming seldom cause high environmental hazard per say. In like manner, if not properly managed, it may cause one. Most likely; offensive smell from decomposed waste water from fish tanks. if in a ; look for any land you can get cheap. The size of the land should depend on the amount of fish you want to farm on. In like manner, half plot of land is a good start for an Average fish farmer. However you can go for something bigger when you feel like expanding. services of an expert pond construction engineer, because if you fail in this stage it’s like the beginning of your failure, all plumbing work must be properly done to ensure proper drainage or you go to another fish farm to get the specification and construction requirement. 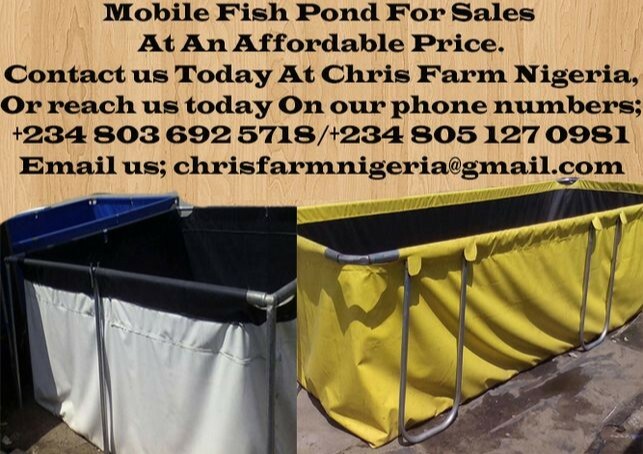 You can also get a mobile fish pond for a start. We have different sizes of mobile ponds for sale. We have foreign ones and locally made ones. This ponds are made from strong tarpaulin materials in combination with metallic stands for else management. Do you have a land for your building project, or space in your compound? Why not use a mobile tarpaulin on that land for fish farming and make huge money or returns in a few months, instead of wasting that space doing nothing with it. Fish farming is a lucrative business that has started hitting the market with much returns, as it lurches millions into operators account. Dig a Bore hole: water is the life line on fish production. 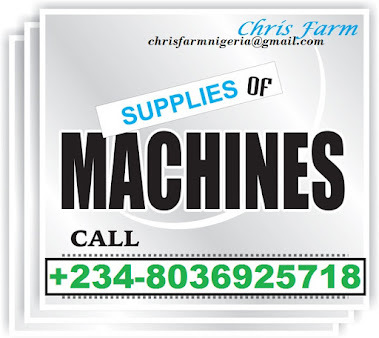 Good water is a basic necessity to kick start your production. bore hole and river water is the most suitable. Rain water which are chemically treated are not recommended because fishes need clean water to grow well. 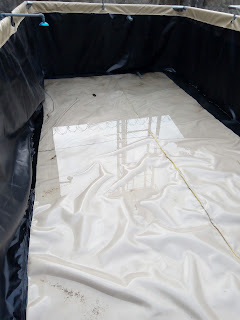 Over Head Tank: This is a water reservoir in which water is supplied into the fish pond. This tank has to be connected to your pond through the plumbing system to make it convenient for water to flow into your pond. Juvenile Fish: You can get your juvenile fish from fish farmers around you. Especially, those who are reliable. Get training: You can attach yourself to any fish farm to put you through. Marketing: After growing your fishes to table size the next thing that comes to mind is who to sell your fishes to. Places to market your product are restaurants, hotels and Bars, individual residence e.t.c you can also display you product on social networks. Cat Fish: Even though cat fish is not the most popular fish in Nigeria. 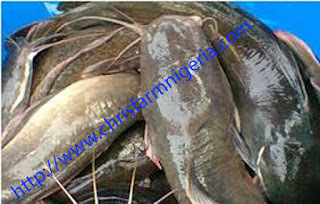 Although, Catfish is the most cultivated specie in Nigeria. It is very easy to cultivate because of it its adaptability in water. I recommend Catfish for a start for every fish farmer. Tilapia: Tilapia is also called bony fish. It has bone and scales in its body. Demand on catfish is higher than Tilapia, but is also a trending business. This spies has the second order of culturing in Nigeria. These spices are usually found in fresh shallow water. Its easier to culture than Catfish because it eat everything but don't grow fast. It reproduce easily than Catfish also. Mackerel (Titus): It is by far the most popular fish in Nigeria. As a matter of fact, it is so sad that farmers don't culture it. Most times it’s cultured in the wild. Although, fish farmers are looking for the possibility of creating an artificial salty water similar to sea water. Where mackerel can only survive. Time will tell if this blue sea fish can be cultivated artificially in Nigeria Climate zone. If you must start, start with catfish or Tilapia.